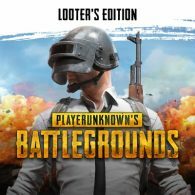 PlayerUnknown’s Battlegrounds (PUBG) is finally heading to the PS4 in December 2018, after being exclusively available on PC, Xbox One and mobile. The PS4 version of the game will release on 7th December 2018, and is now available to pre-order on the PlayStation Store. If you pre-order the game, you will also benefit from some in-game skins from two PlayStation games: Uncharted and The Last of Us. Nathan Drake’s Desert Outfit and Ellie’s Backpack will be included when you pre-order any of the above editions, in addition to a PUBG avatar and theme.